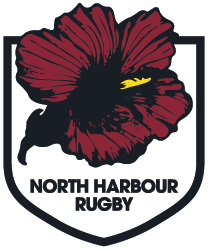 Head coach Steve Jackson’s altered his starting squad slightly for Harbour’s all important final round robin game in the ITM Cup against Wellington on Saturday afternoon at Westpac Stadium. After missing out on the match-day 22 against Northland last week Mike Farmer is back starting at lock where he’ll pair up with Hayden Triggs who captains Harbour for the second straight game due to Bryn Hall’s unavailability through injury. Jordan Manihera makes a timely return from injury, replacing Brandon Nansen who suffered a broken leg in Whangarei. Manihera will partner Zak Judge in the loose forwards who comes in at the expense of Josh Blucher. “I think we lacked a little bit of energy last week against Northland. We started well but as the game progressed they were a bit more physical at the breakdown. Mike Farmer brings that energy we want, he’s an 80 minute performer who never gives in. Zak Judge is a little bit bigger and gives us that physical size at the breakdown as well. “Jordan is fit and ready to go, he’s itching to get out on the paddock. When he wants to play he can be an outstanding footballer, so we’re expecting him to do a good job for us,” Jackson said. In the backline there’s just the one change with Luke Devcich back from injury replacing Nafi Tuitavake on the right wing. “Luke has been outstanding. When he’s fit he’s been playing that well that we can’t leave him out,” Jackson said. It’s a huge game for Harbour. Beat Wellington and there’s a high chance the province will make the top four in the ITM Cup Championship for the first time since the competition’s restructure back in 2011. “Although the players know where we sit on the table we haven’t really spoken about it at length as a group we just got to go out there and play the type of rugby that’ll give us a win,” Jackson said. Unavailable: Ben Afeaki, James Doyle, Bryn Hall, Michael Little, Brandon Nansen, Marty Swart, Chris Vui.